The date on Mowbray’s Facebook post was March 12; however, according to Google the property went on the market March 9 - the earliest date showing up in the search. 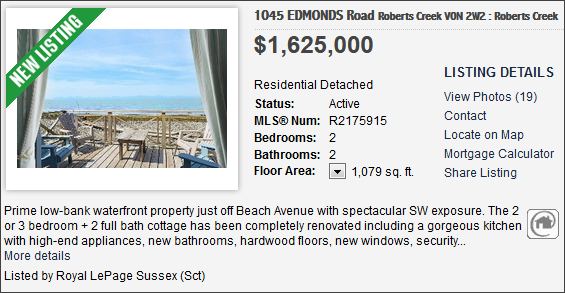 1045 Edmonds Road is a classic “old timer” SC home sitting on a 0.16 acre (6930sf) low bank waterfront parcel. The home was completely renovated in the past and they did a sweet job. 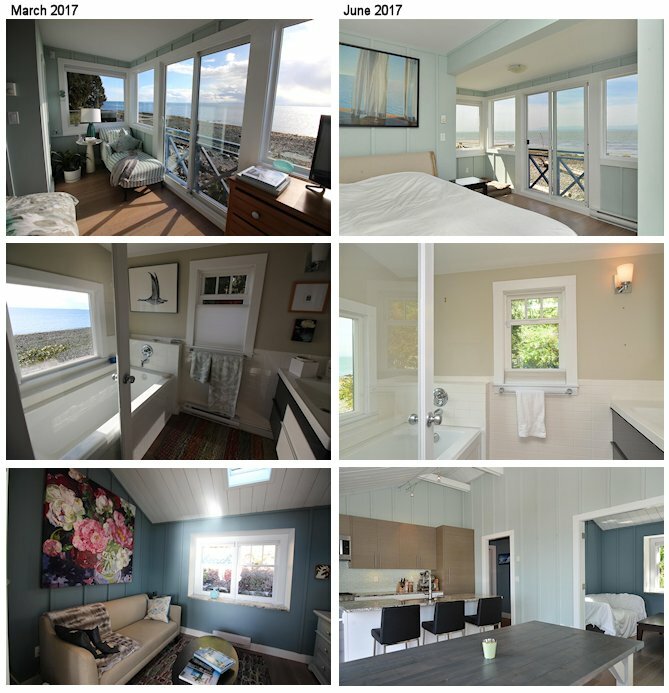 As the listing above showed, it has 2+1 bedrooms and 2 bathrooms fitting within a tidy 1,079sf; and, there is also a separate 312sf studio cabin with a 2-piece bathroom. 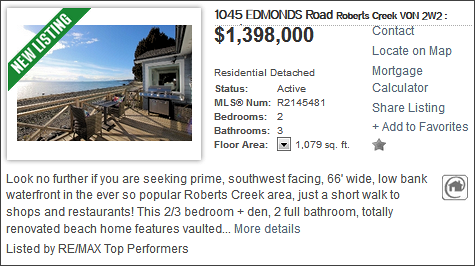 It was all yours for that eye-popping, even if it is in Roberts Creek, sum of $1,398,000. It sold in 4 days. If you want to know what this little darling went for, visit here. While there, note the square footage and the number of bedrooms and bathrooms on file. Yep, exactly three months since its last list and it’s back on the market with at 16.2% ($227,000) markup assuming it sold for asking. 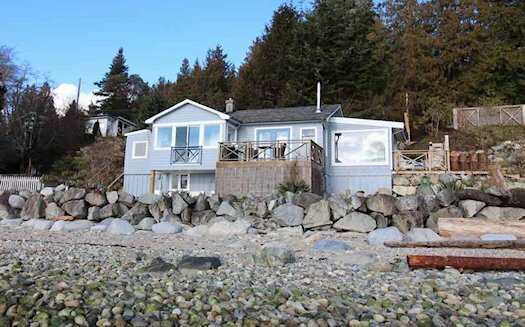 It’s now listed with Sechelt's Brynelson O'Reilly at Royal LePage Sussex. I spent some time yesterday comparing and thinking about the March and June listing pics and the only conclusion I can reach is this property was bought for one intention only. Prior to March, the property was a home and now appears to be a way station before moving onto somewhere else. It was comparing the next two pictures that sealed it: more bare walls, a mattress on the floor and a few paper lanterns hanging from the ceiling for colour - perhaps to amuse a young child. SC Realtors® dropped any pretense buyers were snapping up properties as “homes” in late 2015 as Vancouver’s bubble spread to outlier markets. 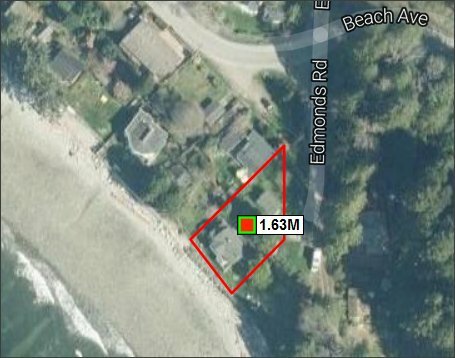 Note the priority in the listing write up for 473 Ocean View Drive in Gibsons (R2166064): “An excellent investment property or for a family looking to upgrade from a townhouse or buy for the first time.” Oh yeah, and you could actually buy it to live in, yourself. 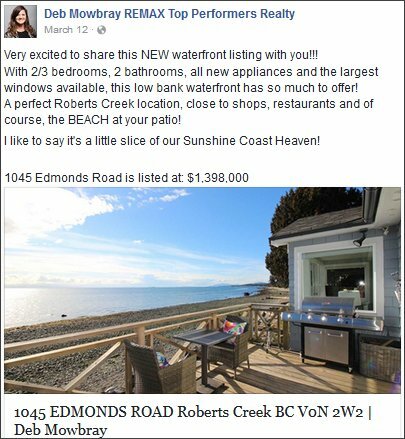 The Sunshine Coast below Pender Harbour is hooped as two articles in this week’s Coast Reporter testify: “First-time homebuyers find Coast market impenetrable” and “Woman raising funds for ‘tiny home park’” (she’s dreaming...she should be exploring a co-operative scenerio). Whoever buys the property might contemplate adding another foot to that rock retaining wall...just saying. (A Crack in an Antarctic Ice Shelf Is 8 Miles From Creating an Iceberg the Size of Delaware...Now that’s...Covfefe!). (Above satellite image via SC Realtor® Gary Little's truly incredible Interactive Real Estate Map.